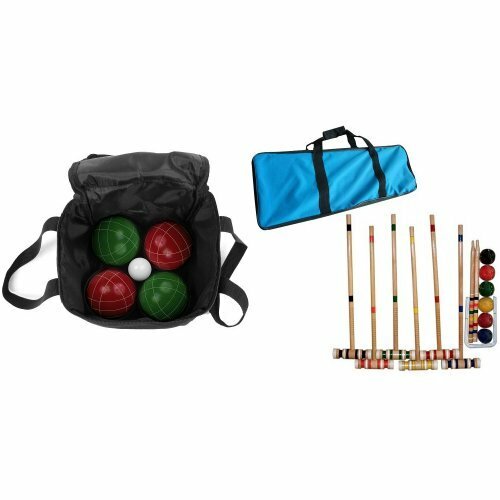 Bundle: Trademark Games 9 Piece Bocce Ball Set with Easy Carry Nylon Case and Complete Croquet Set with Carrying Case by Trademark Games at Wander Soul. Hurry! Limited time offer. Offer valid only while supplies last.